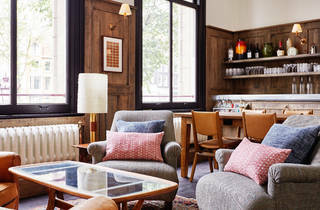 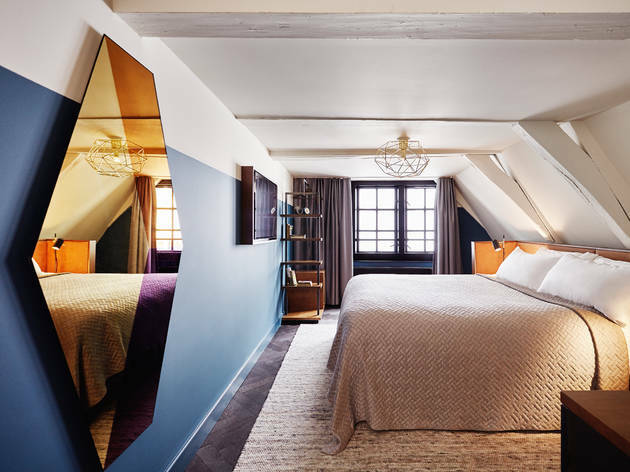 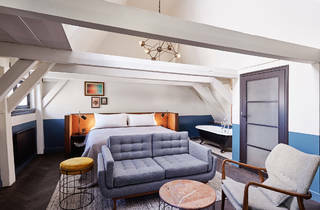 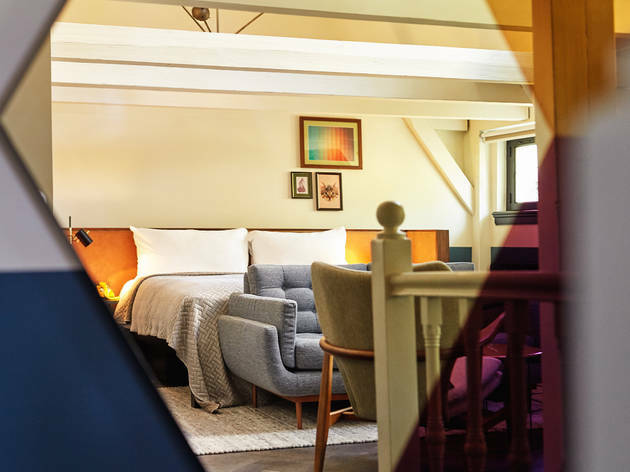 You’ll enjoy staying in as much as going out in this beautiful and buzzy hotel in the heart of Amsterdam. 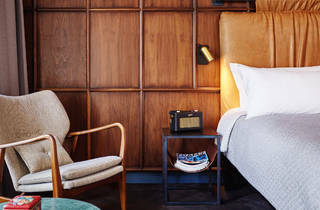 It’s impossible to stay at The Hoxton without feeling an overwhelming urge to take every single part of it back home with you. 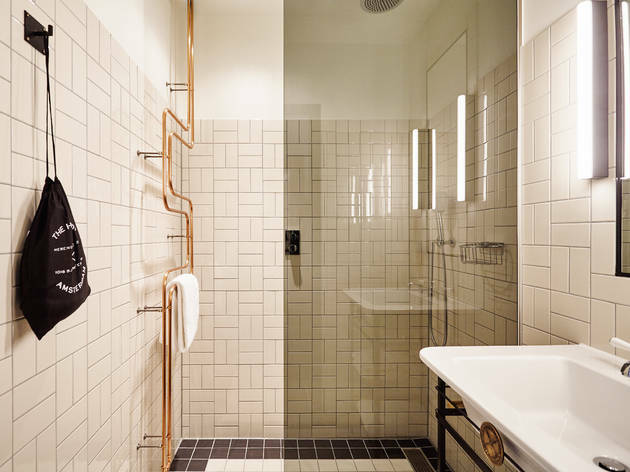 By the end of our stay, my wishlist of things to buy when I got back to the UK included tables, chairs, telephones, tiles, the light above our bed and the loo roll holder in the bathroom. The whole place is like something out of Elle Decoration. 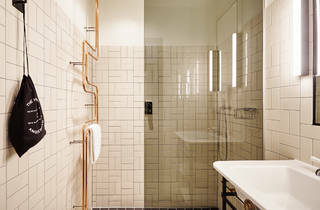 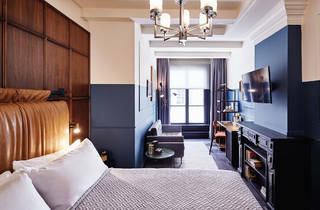 This attention to detail isn’t limited to design either – it extends to the bicycles that you can take for a spin around the city, the map in your room that features decent places to eat and drink nearby, the super-friendly receptionists and the little breakfast bag that gets hung on your door in the morning so that you’ve got something to take the edge off your rumbling belly. In other words, these guys have put some serious thought into all of the little things that combine to make a hotel stay special. 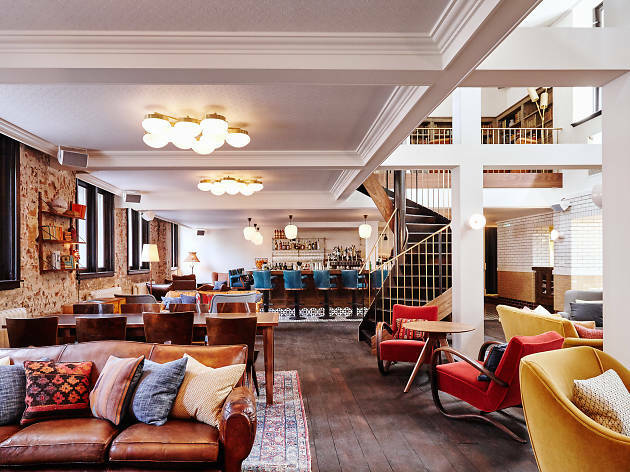 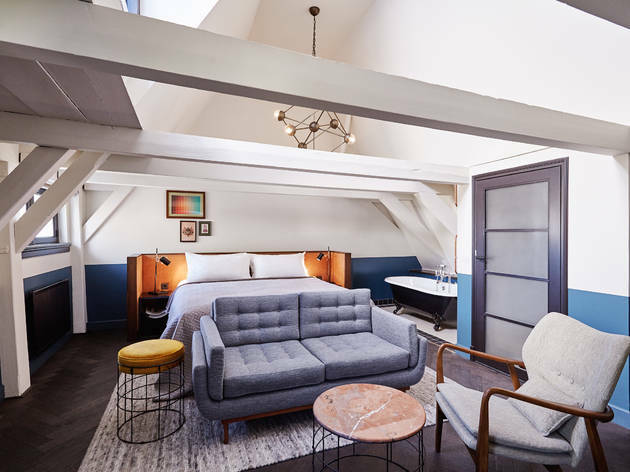 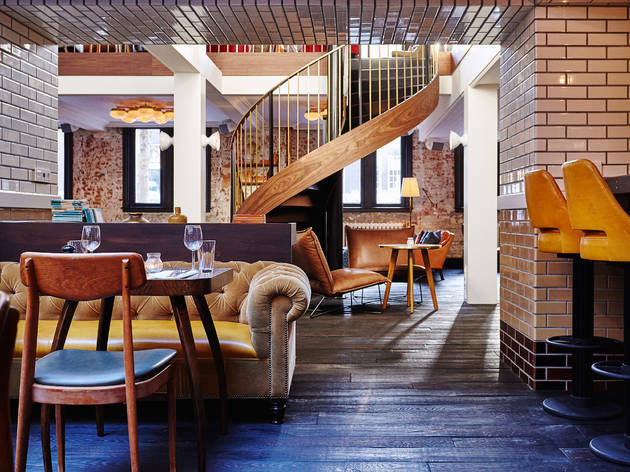 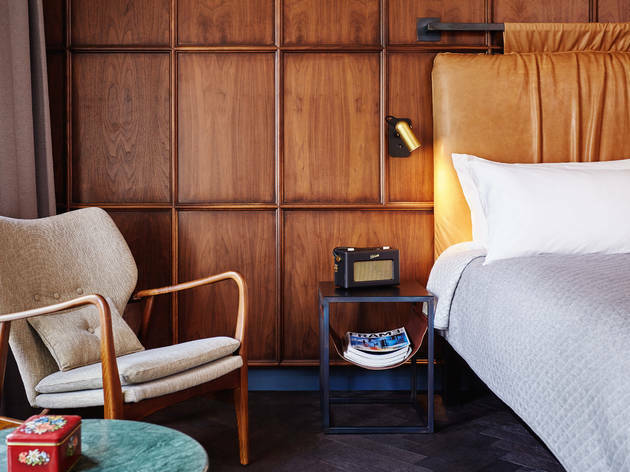 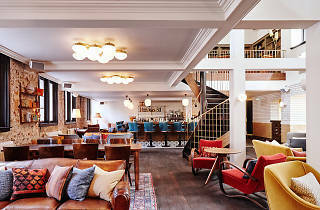 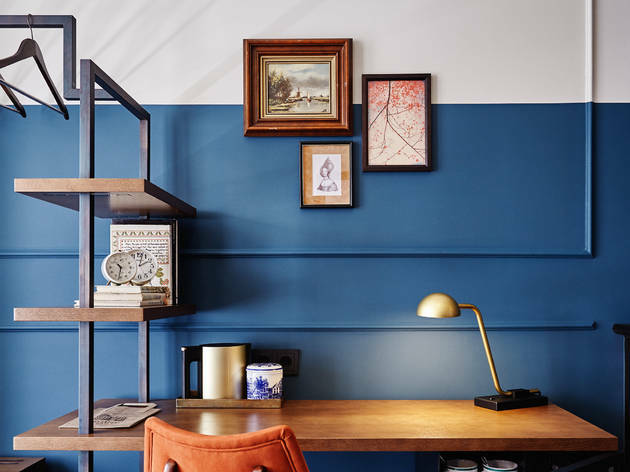 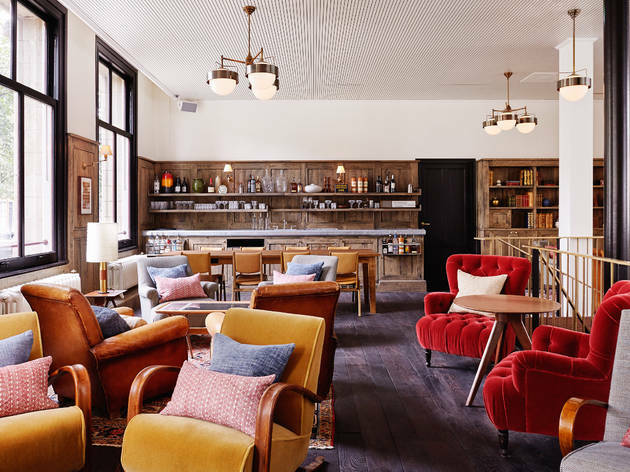 As with The Hoxton’s other hotels over in London, you’ll probably find yourself spending as much time in the bar and restaurant as your room. 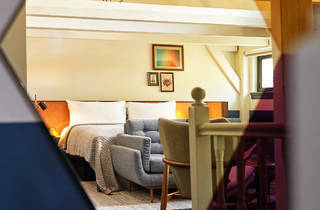 There’s a double-height ceiling that reaches through to the second floor of the building and makes the whole space feel roomy, while the soft lighting and plump armchairs make it dangerously easy to spend an entire afternoon in here with a glass of wine and a book instead of seeing the sights. 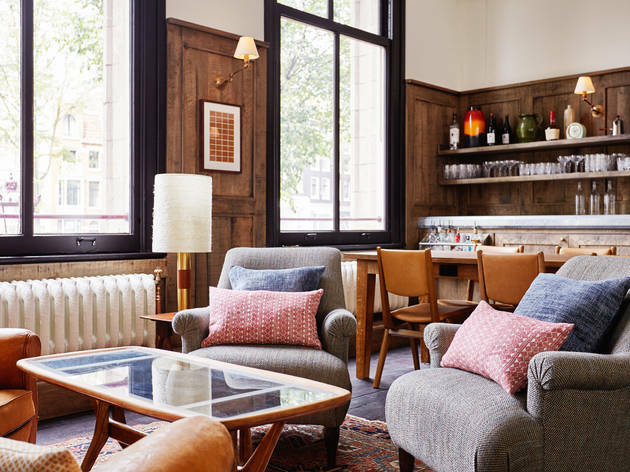 If you do decide to get out and about you’ll find yourself in the middle of De 9 Straatjes, which is a fine area for a mooch – HAY is a good place to start if you’re into Scandi design – along with plenty of little cafes. 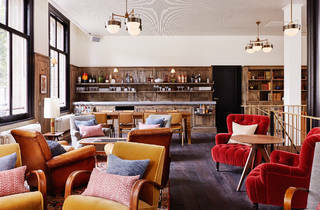 Later on, pop to the Pulitzer for a drink in their fabulously plush bar. 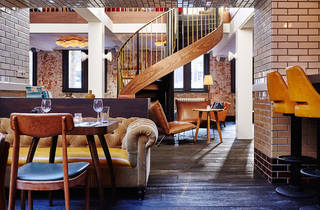 One last thing: don’t miss the photo booth that’s tucked away at the top of the stairs opposite the entrance. 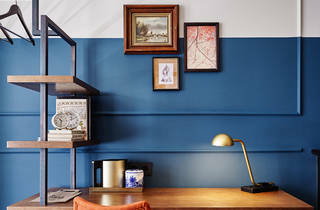 You may not be able to take the place home with you, but at least you can get a little memento.